Four Seasons beachfront condo for sale at Romar Beach. 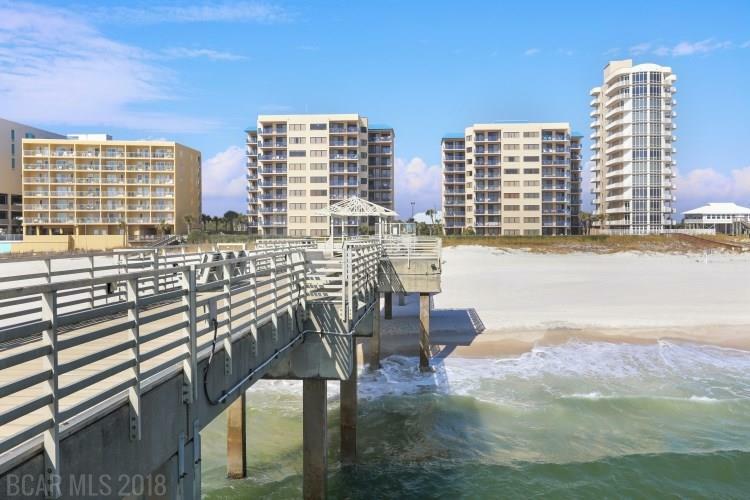 This 3BR/3BA residence has never been rented and is situated on the top floor of east building with direct view of the gulf and fishing pier. Wet bar, dining seating for 10 with table and bar stools. Four Seasons is the only residential development on the Alabama Gulf Coast with a private pier in the Gulf of Mexico. East and west buildings with many amenities such as 24-hr security, indoor and outdoor pools, fitness facility, condos wired for WiFi and cable TV. Unbelievable views of the gulf, beach and pier from the balcony that has direct access from living room, 1 guest room and the master bedroom…come see this special condominium.